By now, I’m pretty sure everybody has deleted Tinder. Or at least neglected the app completely because all of the guys left on there are either way too desperate or way too creepy. But there may be hope for us #singleladies! There is a new app that’s similar to Tinder but way better. I introduce to you Tindog: a canine matchmaking service that connects dog lovers. Marlo, this means that you can use Tindog and Lulu to help find your rich, dog-loving, future husband! And you wouldn’t mind if we used Lu too, right? 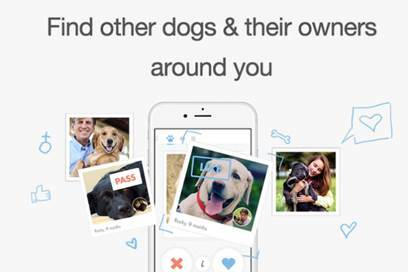 I say we get our best selfie with Lulu ready, download Tindog, and give a whole new meaning to finding puppy love.